Balázs got his green card last week! It has been a long road... We began the adoption process in June 2011, which means that we have been jumping through legal hoops for 2 years and 5 months. But now we're done! There were times along the way when it looked like it would be impossible for Balázs to stay with us here in US; like every door closed in front of us. God blessed us with some good lawyers and the means to pay them, and with favor in the eyes of officials who made the final decisions. We are also glad that the laws existed to support people in our situation. 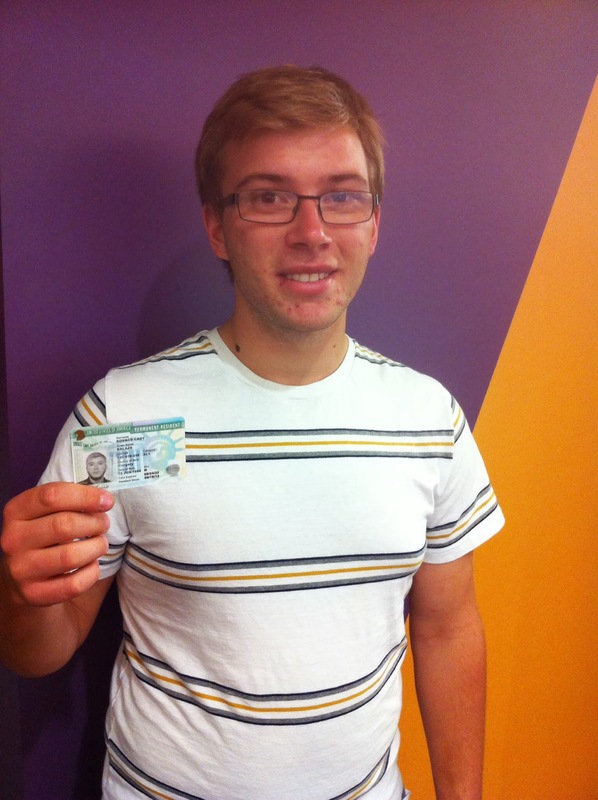 Balázs got a green card for 10 years, after which he will be eligible for citizenship. Now he can work, get a driver's license and go to state college if he wants. God is good and we are glad.